This is not the first time I bought something because the packaging made me laugh. The item was screaming for my attention, fighting into the corner of my eye, on a wall behind the cashier in a convenience store. 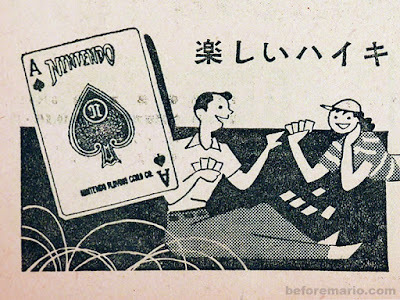 …until I saw a pack of Co-Op Playing Cards, which I bought for £1.49. What made me laugh was how little design was actually needed: you have the Co-Op logo, white on a blue background, and the words “Playing Cards” underneath it. The dotted lines above and below “Playing Cards” is the only flourish there is. This is then repeated four times around the box, making itself perfectly clear to you. The only change is on the back, where it confirms that you have bought a pack of standard playing cards, including two Jokers; that it was made in China, for the Manchester-based Co-Op Group; that the pack complies with European Union “CE” safety, health and environmental standards; that the pack is not suitable for children under three years, for reasons not stated – it may be healthier for them to eat the cards than making an early start in developing a gambling problem; and details on contacting their Customer Services department, in case you have been sold a non-standard pack, or to receive details on where to send any superfluous Jokers. 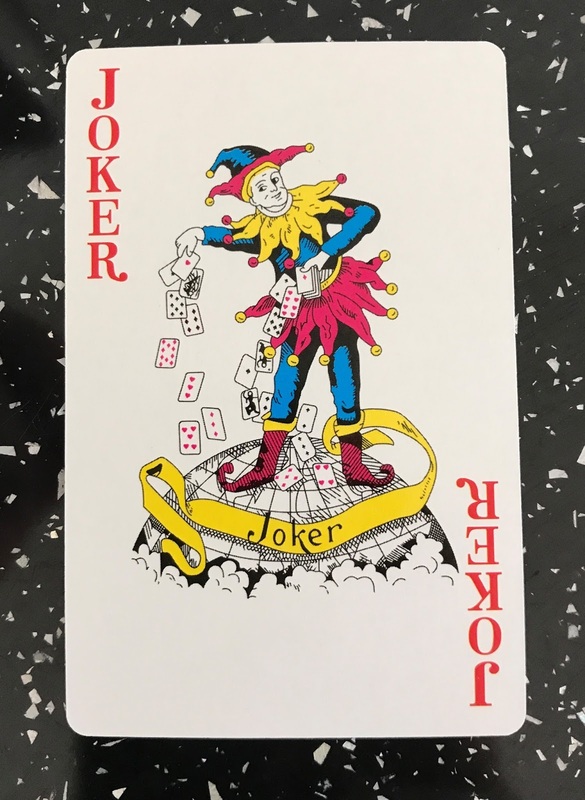 Opening the pack, the face of each card uses the standard format developed over the last five hundred years, along with two nicely-drawn pictures of a Joker standing on top of the world, dropping his deck onto the surface. There is an extra card explaining how to play Go Fish but, disappointingly, the exact same rules are printed on the other side, which could have been used on the rules for Gin Rummy, Spit, Whist or Oh Hell. The corners of each card are finely rounded off, so meaning each card will remain identical to your opponent, no matter how worn they become. They have good action in your hands and, instead of a linen-type surface, they have a flat, shiny finish, which may make shuffling a little easier, and provide better exercise for your fingers over time than a pair of hand grips. 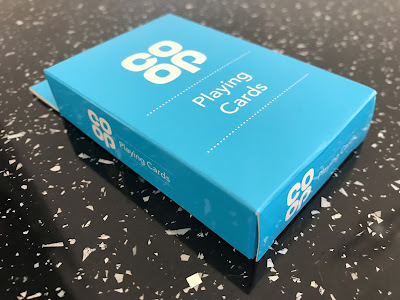 The greatest surprise of all is when you turn over your deck – instead of the standard Persian-rug-like design, the new-old Co-Op logo, white on blue, is on the back of every single card. I am not sure if this pack was meant to be a promotional item that was put on sale by accident, or whether the gambling connotations inherent in the cards is gallows humour on the part of the Co-Op, following the sale of their banking arm, but I have never seen a well-known brand name used in this way before – until I found out that Nintendo made playing cards before Donkey Kong and Super Mario arrived.